Corked wine…Don’t Throw it Out, Make Mulled Wine! Updated: February 7, 2013 – I’ve been cold all day and wrapped in the softest blanket on the planet (Christmas gift from Sister-dear). When I’m cold and cozy, I can’t help to think about my love… No, not The Professional, WINE ;). A nice warm spicy glass of mulled wine would be great. However, I’m too cold to go through the efforts that are needed to make mulled wine: go downstairs, dig thru cases to find the one bottle that isn’t going to give me heartburn by infusing it with spices, then trekking upstairs, with my arms filled with bottles that I forgot I had on-hand and stand in front of the stove for 30 minutes at 8:30pm. I’m sorry, not my kind of fun, I rather write about making mulled wine. So, enjoy my original review on Chateau Bouscasse Mulled Wine. Originated: December 3, 2011 – I found a bottle of 1996 Chateau Bouscasse Tannat. Mmm… I love Tannat, which is from the Madiran region of France. How wonderful it would be if this bottle was perfect, far fetch. Popped the cork, poured, light rim, brown tones, definitely an aged wine then… I sipped, Yup, corked! If it was the summertime, wine would have been poured out. It’s Christmastime! What’s perfect during Christmas? Mulled wine! The entire bottle in the pot, cut up an orange (I had a large orange), approximately ¾ c of brown sugar (you can use less), a little apple juice (opt. 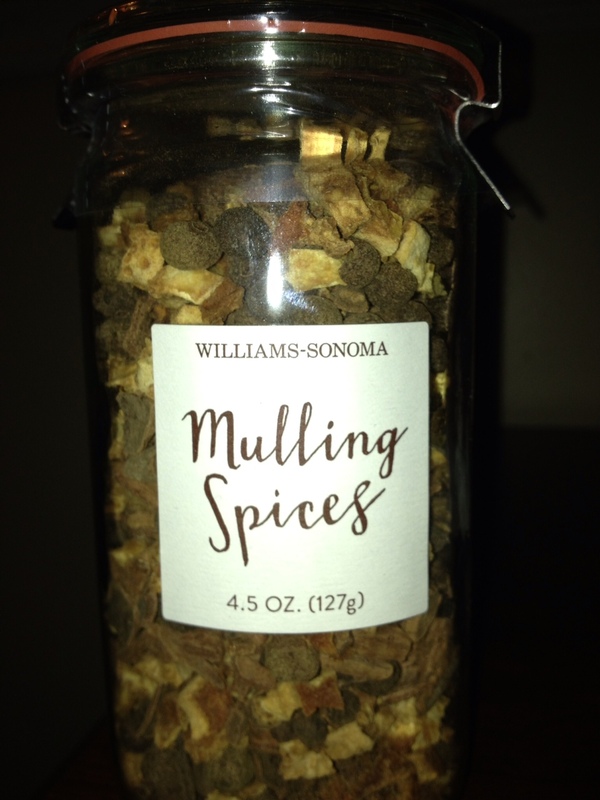 ), and approximately 2-3T of Williams-Sonoma Mulled Spices. I don’t really measure, just add ingredients and taste. I like Williams-Sonoma Mulled spices cause it’s not heavy with cloves. Since, I’m not going to be drinking the wine, just little sips throughout the day:); I don’t place the mulled spices in a cheese cloth. If you’re going to drink the wine, place the mulled spices in a cheese cloth/bag and simmer and stir for 20 – 30 minutes. Enjoy with cinnamon sticks. So, think twice before pouring out that bottle of corked wine. Thank you! Glad you enjoyed the blog. I have difficultly throwing out wine. 😋Remember corked wine & spices also makes the home smell good.